Thanks for visiting! The Robertson Investment Services page that was here has been taken down. What was here? This mini-site described my investment coaching business, helping Canadians learn how to become do-it-yourself investors. The issues I helped people with are now addressed in a course and how-to book, which is a much more efficient way to learn than paying me $90/hr for one-on-one sessions. I strongly recommend you try the course and book first, before looking for individual coaching. 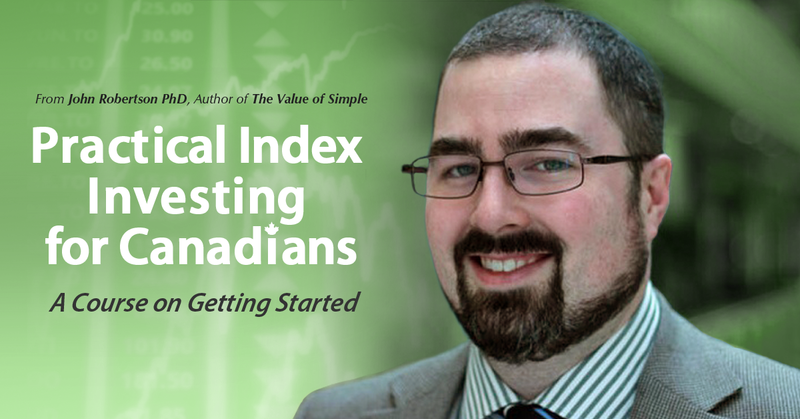 The Practical Index Investing for Canadians course, a comprehensive online course that will help you learn everything you need to know to become a do-it-yourself investor. Complete with step-by-step instructions on how to purchase TD e-series funds or ETFs, how to track your adjusted cost base to report your taxes, and behavioural insights and tips to help you stay on track for the long term. 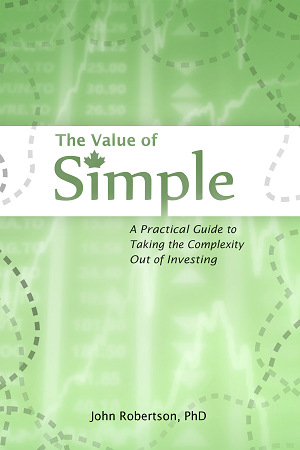 The Value of Simple: A Practical Guide to Taking the Complexity Out of Investing, a how-to guide for investing in Canada, now with a second edition. If you're looking for more information, or want to hire me to help your company's employee learn how to invest with "lunch-n-learn" sessions, please feel free to contact me: invest [at] therobertsons [dot] net. Why was the full-featured site taken down? I took the site down as part of trouble-shooting my server (which is shared with the more important Value of Simple site). Given that I don't actively promote the investment coaching business any more (the course has made it rather obsolete), it was easier to just take it down fully than to test and debug in detail. So do you still offer coaching? I've heard good things and was interested. If you're looking for investment coaching I'm always happy to have more work, but I have tried to make myself obsolete with the book and course -- you will find it's a better value to start there.